This is a compilation of past reports from 13WMAZ's coverage of the Jibri Bryan case. The man shot and killed at a Macon gas station Tuesday has been identified as Jibri Bryan, a Mercer University basketball player. Bryan, 23, of Savannah, was sitting in a car at Flash Foods at Forsyth and College streets when gunmen pulled up in a vehicle and opened fire on the car. Bryan was pronounced dead at the scene. Another man, Jarvis Clinton Miller, 24, is being treated at Medical Center, Navicent Health in Macon with gunshot wounds. No arrests have been made and authorities have not released a motive. The gunmen's vehicle was located in the 800 block of Orange Terrace at around 9 p.m. Tuesday night. "Tonight the Mercer community is grieving the tragic death of graduate student Jibri Bryan, who has been part of the University family for six years. Our thoughts and prayers are with the Bryan family." "First and foremost, my heartfelt sympathy goes out to the Bryans. The Mercer athletic family is deeply saddened by Jibri's passing. Jibri was always cheerful and greeted everyone in the department with a smile. He will not only be missed by his basketball family but by all of us in the University Athletic Department." "Jibri Bryan was a special young man who was a great contributor to our team and did everything that was asked of him. He was important to us in every way. I loved him and cared about him from the very first time he was on our campus. We grew to be very close over the years. Our thoughts and prayers are with his special family." 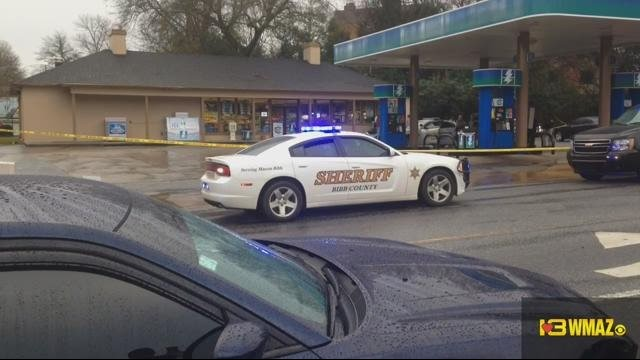 The man who was killed was shot in the head while sitting in the driver's seat of a parked car in the store's parking lot, according to Bibb County Sheriff David Davis. The man who was wounded was sitting in the passenger seat. The death is Macon's first homicide of 2016. Jibri Bryan's fellow students are remembering him just a day after he was shot and killed at a Flash Foods on Forsyth Road in Macon. They're saying sometimes you're just at the wrong place at the wrong time. "The real thing that upsets me is that it could have been any of us," says Mercer University student Geovic Jadol. Many students say they didn't know him personally but that he always made it a point to say "hi" to them or smile in their direction. "We never expected this to happen to a guy we see all the time. He was a great guy. I didn't know him that well, but we knew of each other and he would always say, "Hi," and go out of his way and was always smiling. His son is the cutest. 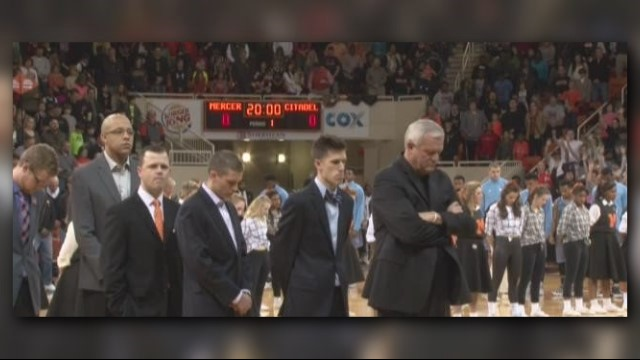 It was something just so special to see especially during the basketball games," says Mercer student Meghan Segreti. Some say the gas station where Bryan was killed is one that many Mercer students go to. They say it makes them worried about safety in the area. "It happened so close to where I live now on campus. It's just one of those things that shakes you up when you hear about it," says Mercer student Erik Sylvain. Despite the sad news students are remembering the best of Bryan's time at Mercer. Some say they're already thinking of his son. "You know we've all seen him we all know about Jibri Junior. So like we're all going to make an effort to take care of him I think. But it's something we've all talked about as a community already. You know we have the basketball team's back cause we know they would have ours in a second," says Segreti. Through it all Mercer students say they're still #bear strong. An arrest warrant for Damion Henderson says he borrowed a 2012 Nissan Sentra Feb. 2, about an hour before the fatal shooting of Mercer basketball player Jibri Bryan. Then he picked up Jarvis Miller "within minutes" of the shooting, the warrant says. Bryan was shot to death outside a downtown Macon Flash Foods. Henderson and Miller both face felony murder charges. Henderson is being held without bond; Miller still hospitalized and has not appeared in court. Henderson was arrested on February 6. He requested a commitment hearing, where investigators will explain the evidence against him. A Feb. 22 hearing was set. Just days after the tragic shooting death of Mercer basketball player Jibri Bryan, Coach Bob Hoffman sat down with 13WMAZ's Wes Blankenship to discuss Bryan’s time at the university. “He just was a really good player, a slasher – he could get to the rim. He enjoyed playing the game, he had a passion for playing,” said Hoffman. Bryan was an important member of the team that played for a conference championship and made it all the way to the NCAA tournament. He fed off the success of his teammates and encouraged them both on and off the courts. It was in that season that he developed chronic knee pain that would continue into this season. Now two men have been arrested in connection to Jibri Bryan's death. 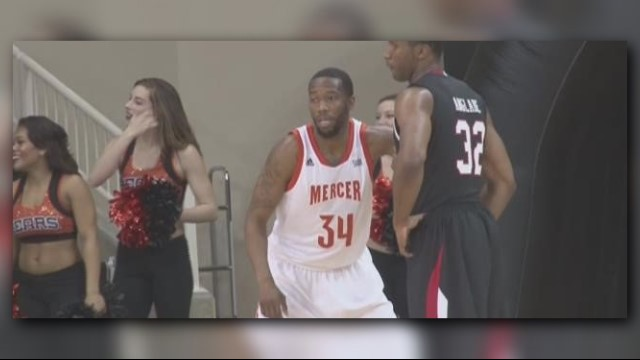 The 23-year-old, Mercer basketball player was shot and killed in his car on Tuesday. Investigators say those are the only two suspects. Jarvis Miller was arrested on Tuesday and is recovering at the Medical Center, Navicent Health, after he was injured in the shooting. The other suspect is Damion Henderson, who made his first appearance in court Saturday. Both are facing charges of felony murder. "He knew that he was possibly being searched for. If we released the name, there was the possibility he would have left Georgia," says Lt. Randy Gonzalez with the Bibb County Sheriff's Office. He says they had Damion Henderson on their radar from the beginning of the investigation. However, it was another name, Henderson's alias, that came up first. "The name Tyson did come up, which is a nickname for him," Gonzalez explains. Investigators say Henderson was the one who shot Bryan in the head in the parking lot of the Flash foods on Forsyth and College Streets. The search for Henderson led them to Atlanta on Friday. "The fugitive task force and our investigators entered the front door of the apartment," Gonzalez says. "Mr Henderson was in the apartment at that time. He fled out of the back door of the apartment, attempting to flee from them. He was chased down into the complex and caught." This is not Henderson's first offense. He has a previous record for multiple counts of aggravated assault and an armed robbery in Clayton County. "We've got the two, which was our main focus, to get the two that were responsible for this tragic homicide," says Gonzalez. He says now they can spend their energy on finding out what exactly happened in that parking lot and why. A bottle of a suspicious substance, as they called it, was found in Bryan's car and a wad of cash nearby. The bottle has been sent to the crime lab to determine what it is. However, Gonzalez says they do not know yet what the relationship was, or if there was any, between Bryan and his shooters. He also could not confirm if a transaction was taking place. He says the next steps are answering those questions. "What's the connection there between these two?" he asks. "What happened prior to this incident occuring? What led up to them shooting Mr. Bryan? " Gonzalez says they are also reviewing surveillance video from the flash foods. Henderson asked for a commitment hearing, which is set for February 27th. For the first time since his death, we are hearing from the family of Mercer basketball player Jibri Bryan. Bryan was shot and killed outside of a downtown Macon gas station last week. 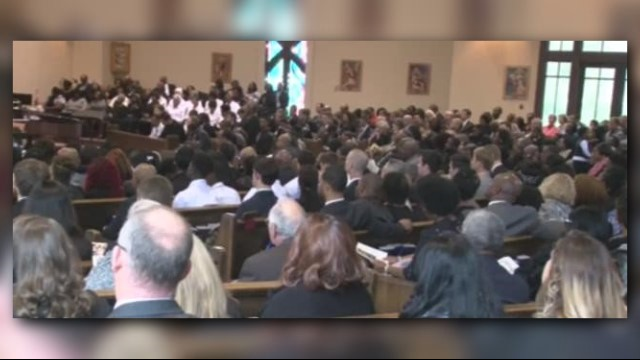 Tuesday, friends and family gathered in Bryan's hometown of Savannah to say their goodbyes. It was an emotional funeral as family and friends from Macon all the way to Savannah gathered to say their final goodbyes to Jibri Bryan. It's been almost a week since the Mercer basketball player was gunned down outside of a convenience store. "When I first got the news that Jibri had been shot, I was very angry," said Cyrus Hunter, Bryan's former youth coach. And while many folks are still trying to digest the tragic news, Jibri's family wanted to make sure he was remembered for the all that he accomplished. Three of Jibri's coaches spoke on behalf of his dedication to the team and the game, including Mercer's head basketball coach, Bob Hoffman. "My relationship with him was really special. I'm thankful for all these guys who are here today," Hoffman said. His fellow Mercer teammates were among those who filled up the church. He'll forever be known for his basketball success, but those that knew him personally say he just as much a leader and inspiration off the court. "He was really one that brought us all together and held us together as a unit," said cousin William Martin. The future seemed bright for a young man who had already accomplished so much in just 23 years. This was the last place many folks ever thought they would be, but there was only one place they all knew he could be. Two Macon men have been arrested in Bryan's death. Both face felony murder charges. It has been nearly 3 weeks since 23-year-old Jibri Bryan was shot to death in a gas station parking lot, and the Bibb Sheriff's Office says suspicious contents of a bottle found near his car are still unknown. Two men were charged in his death and remain in the Bibb County jail without bond. Sheriff David Davis says the contents of the bottle is at the GBI crime lab awaiting testing. He says the results could take weeks or even months. "It goes into their queue of cases. With this being a homicide, we hope that they'll kind of speed up the processing, but they get stuff from all over the state that they're having to process," says Davis. Davis says they are still looking for more witnesses in the shooting. A Bibb County investigator testified Wednesday that Mercer basketball player Jibri Bryan may have been shot over fake Xanax. That happened during the commitment hearing Wednesday for Damion Henderson, one of two suspects in the fatal shooting. Investigator Shaun Bridger testified that the other suspect, Jarvis Miller, told police, "Bryan determined the pills were fake and he didn't want to buy them." Bridger continued, " Henderson got out of the car and went up to Bryan telling him he would buy the pills or else." He said, "Next thing you know Henderson fired a shot, killing Jibri." Frank Hogue, Henderson's lawyer, said Wednesday was the first time he heard the police theory about fake Xanax. Hogue questioned how Henderson was identified, based on the Flash Foods store video. He asked Bridger, "Has anyone who claims to know Damion Henderson looked at the video and said that's him right there?" Bridger replied no, but stated surveillance video shows Henderson standing over Bryan's car. Bridger continued saying, "We also have another individual who saw Mr. Henderson pull up beside Jibri's car at the time of the shooting." Investigators are still awaiting results from the GBI crime lab where two hand guns, and a pill bottle are being tested. Bryan was shot to death outside a Flash Foods on Forsyth Street on Feb. 2. At the end of the hearing magistrate judge Barbara Harris denied Henderson bond once more, and ruled there was enough evidence to move the case forward. The next stop should be a Bibb County grand jury. One year ago, Jibri Bryan was playing college basketball and looking forward to his future, which included watching his young son, Jibri Jr., grow up. Then on February 2, 2016, Bryan was shot and killed outside of a Flash Foods gas station in Macon. Jarvis Miller and Damion Henderson are the two men accused of killing Bryan. A Bibb County grand jury indicted Henderson on nine charges connected to Bryan's killing and Jarvis Miller on seven back in April. Among others, both men are charged with malice murder and felony murder. A Bibb County investigator testified that Henderson and Miller tried to sell Bryan a substance they claimed was Xanax, but wasn't. The investigator said they shot Bryan when he refused to buy it. An indictment also says the two men took cash and a 9 mm Springfield handgun from Bryan. A trial date for both Henderson and Miller has been set for sometime in August. Bryan’s death shook the entire Mercer community. “He was just a great guy to the core, and to lose him like we did is tragic, so tragic” said Doug Willett. Willett was one of Bryan’s high school coaches at Benedictine Military School in Savannah. “It's like going to Ground Zero. I'm vengeful. I'm happy to be thinking about him. I'm sad he's gone. I'm hurt that I miss all those things. I'll never forget that kid,” Willett said. Teammates say Bryan was skilled in the gym, and on the court. Both Coursey and Willett fondly remember how Bryan easily interacted with everyone he met. “He's the kind of kid every father would want and also the kind of kid every daughter's father would want her to marry,” Willett said. “Everybody loved Jibri. He wasn't just a basketball guy who hung out with athletes all the time. He was just as involved with everybody else who didn't play basketball and, I mean, it showed. Everybody loved him” Coursey said. Which made his sudden and shocking death a bitter pill to swallow. “It didn't feel real when it happened. It still doesn't feel real” Coursey said. “I've got his jersey. I think it's the least we can do is play for him. To celebrate him still, even after a year," said Willett. One year since Bryan died, life moves on in his hometown, his former teammates work hard to produce wins on the court, while his son J.J. grows up without his dad. Still, the people who knew him well make sure his memory still burns brightly. “The world misses him, and that's a fact in my eyes,” Willett said. “I try not to think about what could have been and try and remember Jibri for what time we had with him,” Coursey said. The two men accused of murdering Mercer basketball player Jibri Bryan also robbed him of cash and a gun, according to an indictment. A Bibb County grand jury on Tuesday indicted Damion Henderson on nine charges connected to Bryan's killing and Jarvis Miller on seven. Among others, both men are charged with malice murder and felony murder. Last month, a Bibb County investigator testified that Henderson and Miller tried to sell Bryan a substance they claimed was Xanax, but wasn't. The investigator said they shot Bryan when he refused to buy it. Tuesday's indictment also says the two men took cash and a 9 mm Springfield handgun from Bryan. Henderson is also charged with possession of a firearm by a convicted felon. According to the indictment, he was convicted of armed robbery in Clayton County in 2002. 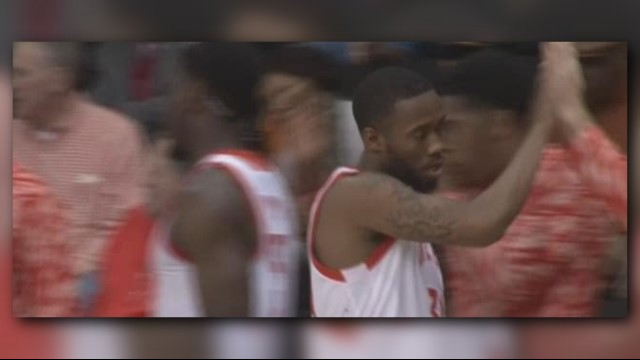 The trial for two men accused of shooting Mercer University basketball player Jibri Bryan has been postponed. Bryan was shot and killed outside a Macon Flash Foods gas station in February 2016. The trial was scheduled to start in August. 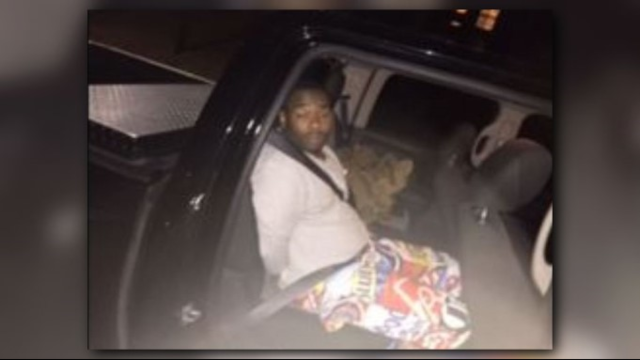 In April of 2016, a Bibb County grand jury indicted Damion Henderson on nine charges connected to Bryan's killing and Jarvis Miller on seven. Both men are charged with malice murder and felony murder. Assistant District Attorney, Sandra Matson said she filed a motion last week to delay the trial. According to David Cooke, the Attorney’s office discovered a new incident, an alleged Alabama shooting, possibly involving one of the defendants. “We believe that incident in Alabama would be useful in our trial and so we’re going to be asking the judge to allow that other incident in the trial, because we believe it could show intent or motive on behalf of the defendants,” says Cooke. Cooke says prosecutors are interviewing witnesses of the alleged Alabama shooting and obtaining information on any DNA forensic evidence. According to court documents filed on Aug. 14, 2017, the District Attorney's office wants to include evidence from a December 2015 aggravated assault involving Damion Henderson in Madison, Alabama. Cooke could not describe the incident in detail, but says they believe the evidence is relevant and will ask the judge to admit the evidence into court. According to Cooke, the case is indicted and will possibly be rescheduled soon, the District Attorney’s office is aiming for October. “We look forward to the day that we go to trial and we want to get justice for Jibri, the community, and his family,” says Cooke. Mercer University basketball player Jibri Bryan was shot and killed a Macon gas station two years ago this week. Now, the two men accused of killing him are scheduled to go to trial this spring. District Attorney David Cooke says jury selection for the trial of Damion Henderson and Jarvis Miller is scheduled to begin June 18. Investigators say in February 2016, Henderson and Miller tried to sell Bryan fake Xanax outside the Flash Foods on Forsyth Avenue and shot him when he refused to buy it. The two men face several charges each, including malice murder and felony murder. By email, Cooke declined to comment on details of the case, but said, "We look forward to seeking justice for Mr. Bryan, his family and the community..."
Last year, Henderson and Miller were scheduled to go to trial in August, but the DA's office asked for a delay due to new evidence. Cooke said his office was investigating an alleged shooting in Alabama, possibly involving one of the defendants. According to court documents, Cooke's office wanted to include evidence from a December 2015 aggravated assault involving Damion Henderson in Madison, Alabama. Cooke said evidence in that case might help show the suspect's motive in the Bryan case. Damion Henderson pleaded not guilty for the murder of Jibri Bryan in May 2016. Jury selection finally began Monday around 2 p.m.
Jarvis Miller, also charged with Bryan's murder, pleaded guilty last week to armed robbery in the Bryan case. He's been sentenced to 20 years in prison, according to Amy Leigh Womack with the Macon Bibb District Attorney's Office. In 2016, a grand jury indicted Miller on seven charges, including murder and felony murder. 13WMAZ could not reach Womack or District Attorney David Cooke to ask about the status of the other six charges. Henderson's attorney, Frank Hogue said he expects Miller to testify against his client in court this week. Hogue said the guilty plea was no surprise. "It's not going to change anything for us. We anticipated that he would plead because he pretty much confessed from the day that he got arrested," Hogue said. "So it wasn't a surprise to us, so we're ready for him. We will cross examine him during the trial this week." Henderson was indicted on nine counts. Hogue said he plans to argue that his client is not guilty of all of those. Hogue said he will also argue this was a drug deal between Miller and Bryan that went horribly wrong and it wasn't Henderson's fault. Two years ago investigators said Bryan argued with the suspects because they tried to sell him fake Xanax pills. Jury selection in the Henderson case is still underway. Presiding judge, Judge Simms said he had hoped to pick the jury this afternoon and start the trial itself tomorrow. Prosecutors and defense lawyers agreed Tuesday that Jarvis Miller fired the first shots at Mercer basketball player Jibri Bryan two years ago. But Miller is expected to testify this week against his friend, Damion Henderson, who's charged with murdering Bryan. Miller pleaded guilty last week to armed robbery in the Bryant case and other charges against him will be dropped if he testifies, according to a plea agreement. Both sides completed opening statements Tuesday in the Henderson trial. Prosecutor Sandra Matson said Henderson and Miller went to a Flash Foods on Forsyth Street in February 2016 to sell pills to Bryan. She says the basketball player realized the pills were fake and the men exchanged gunshots. Miller fired the shot that struck Bryan in the head, she said. Henderson's lawyer, Frank Hogue, told a different story. He says the two friends went to the Flash Foods to buy marijuana from Bryan. He said Henderson was sitting in the car while Miller and Bryan talked, and he heard shots fired. Miller was hit and ran off. Henderson grabbed Miller's gun and fired shots in self-defense, Hogue said. Then Henderson drove off and stashed the gun and the car, because he wanted nothing to do with the shooting, Hogue said. Testimony in the case is expected to start Tuesday afternoon. The judge has granted a mistrial for the trial of Damion Henderson, who's charged with murdering Jibri Bryan. During the prosecutor's opening statements, she mentioned that the two suspects, Miller and Henderson, had been involved with guns and drugs in Atlanta in the past. The defense attorney, Frank Hogue, quickly objected-- mentioning the information was not discussed before the trial. Judge Howard Simms agreed and declared a mistrial. Tuesday afternoon, a Bibb County superior court judge ruled a mistrial in the fatal shooting of Jibri Bryan. He's the Mercer basketball player who was allegedly killed by Jarvis Miller and Damion Henderson in February of 2016. Henderson's trial began with opening statements Tuesday, but the prosecution made a mistake. During her opening statement, prosecutor Sandra Matson told the jury that Miller and Henderson were friends and had been involved in "drugs and guns" together in Atlanta. Defense attorney Frank Hogue objected to that statement, arguing that you can't include evidence of other crimes in a trial without notice. Hogue says the prosecution did not bring this up in a pre-trial motions hearing and he asked Judge Howard Simms to consider whether this statement would "taint the jury." Simms sided with the defense and called a mistrial. "While we disagree with the court, we respect the court's decision. I'm confident that Judge Simms is just doing the best he can to make sure that this trial is done error-free and that we only have to try it one time," says District Attorney, David Cooke. Cooke declined to go into further detail about why the prosecutor brought up Henderson's previous criminal conduct. Hogue says he's glad Simms' ruled in his favor so that his client, Mr. Henderson, can have a fair trial. No word yet on when the trial will resume.